Right from the field of meteorology to health and fitness we all have heard of many myths. One of my favorite myths being, “You should drink 8 glasses of water every day.” I was under the assumption that drinking 8 glasses of water per day is very beneficial for human body and actually used to drink water even when not thirsty just for the count of 8, until I found recently that it is a good practice to keep one’s self hydrated specially for people in dry areas, but we need not follow this myth as a rule. One must drink water only when thirsty. In the same way there are myths in instructional design too. So, ever wondered what the myths in instruction design are? In this blog I am going to discuss the three most common myths that people believe in and reasons for them being just “myths”. Many people think instructional designing is all about dumping the whole content into PowerPoint and that is what defines a storyboard. But this is false because, instructional designers first comprehend the inputs, that is, they analyze the content. The objective of content comprehension to find relevant and irrelevant content, gaps in the content and to get a good understanding of the content. The next step is to set learning objectives, to describe what the learners will achieve after completing the course. Then they present the actual content in a way acceptable to learners by proper chunking and maintaining a balance between onscreen text and audio. The work of an ID does not end here. Providing complementary images, deciding various instructional strategies, animation effects are all the responsibilities of an ID. This is one another famous myth. 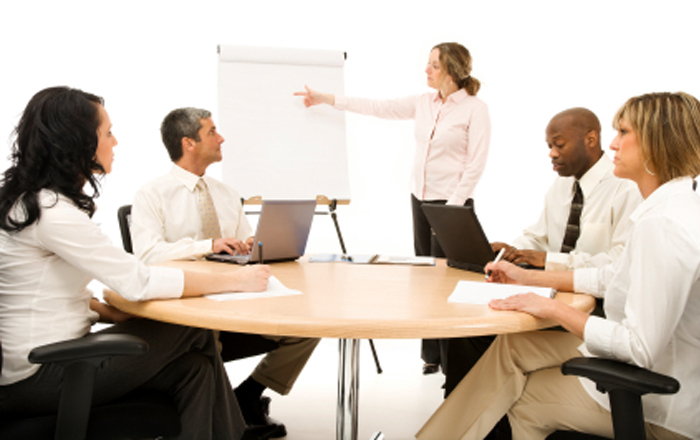 People believe that instructional designers can never beat classroom trainers in terms of effective and engaging teaching. This myth can be proven wrong by replacing monotonous, one-sided traditional eLearning with highly-rich interactive eLearning courses. Use interactivities such as click on numbers, images, tabs, hotspots, rollovers and many more to engage and involve learners in the learning because we all learn best when we are involved in the learning process. Use scenarios to improve your learners’ critical thinking and problem-solving skills. 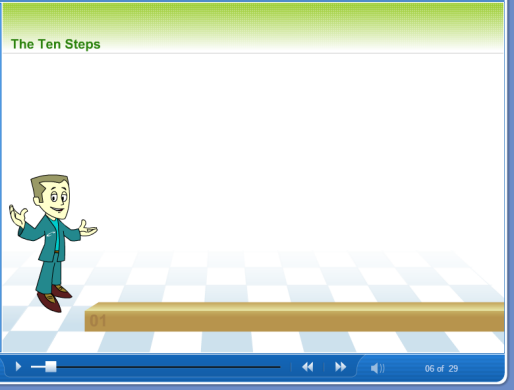 Also use animated characters, avatars to make your course more conversational. They help learners throughout the course apart from acting as visual treat. Here is an example of using an avatar. All these ways will enable the instructional designers to actually “communicate” their motif to the learners. This myth scares many of the instructional designers who are under the impression that the advent of authoring tools will put their careers at risk. Authoring tools always come with only a set of build-in features. It solely depends on the creativity of an instructional designer to generate new ideas and strategies to make their courses stand out. Creating new characters, their expressions and poses as the situation demands; designing new interactivities apart from the default options provided by authoring tools are few things that only an instructional brain can do. The authoring tools only act as an aid to add shapes, colors, effects to a design but it is the plan of an instructional designer that brings life to eLearning courses. So, here I busted the top three myths of instructional design. Have any more myths that you have heard? Please do add!